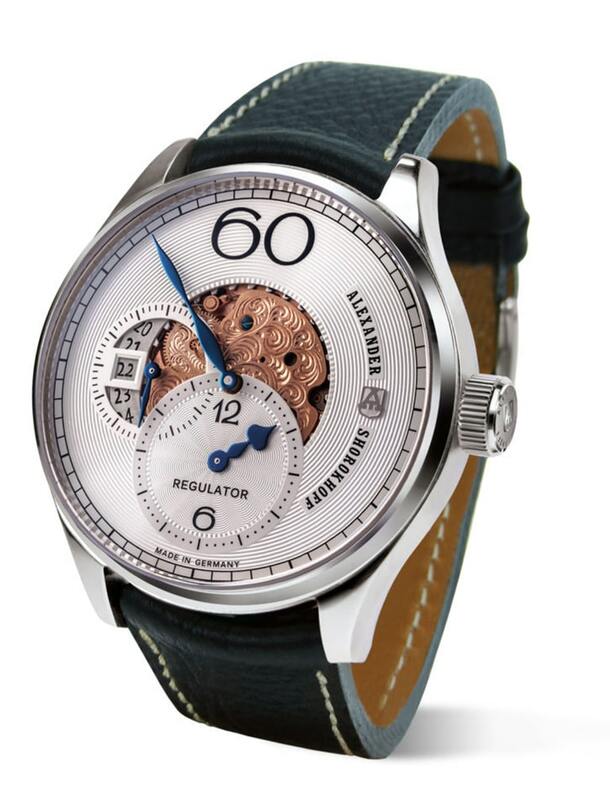 The regulator R02, the second edition of the highly successful regulator R01, is a fascinating watch in traditional execution. Introduced for the first time at Baselworld 2016 the watch received strong demand from the outset. 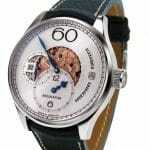 In comparison with the first version, the dial and movement were completely revised. The dial has a “stripes-guilloching” and around the hour indicator a high-quality “sun-beams” guilloching and is available in the colors silver, rose gold and champagne. The visible calendar ring has been relocated to the 9 o’clock position. 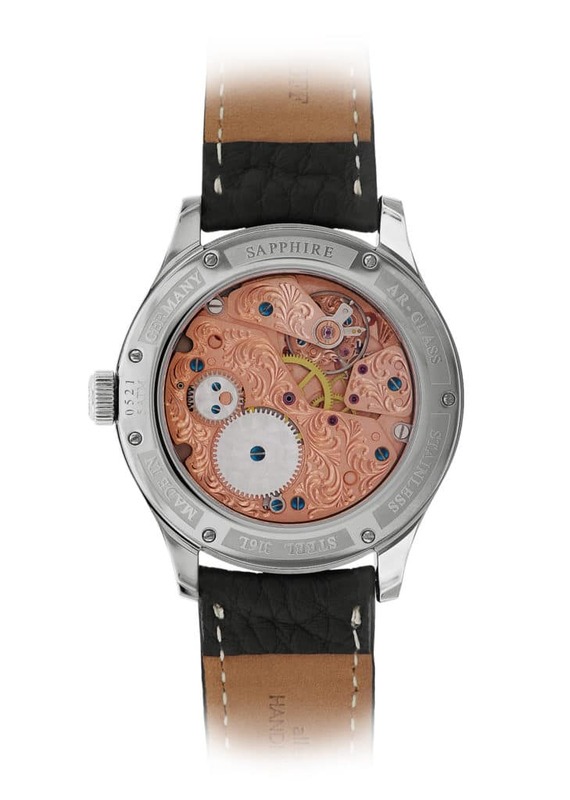 The highlight of the watch is the centre which is skeletonized and allows an undisturbed view on the regulator movement. It is completely hand engraved in traditional manner. The distinguishing marks of the “Avantgarde“-line by “Alexander Shorokhoff“ remain unaffected: The elegant, blued, curved hands and the big figure “60“ underline the identity of this excellent watch. 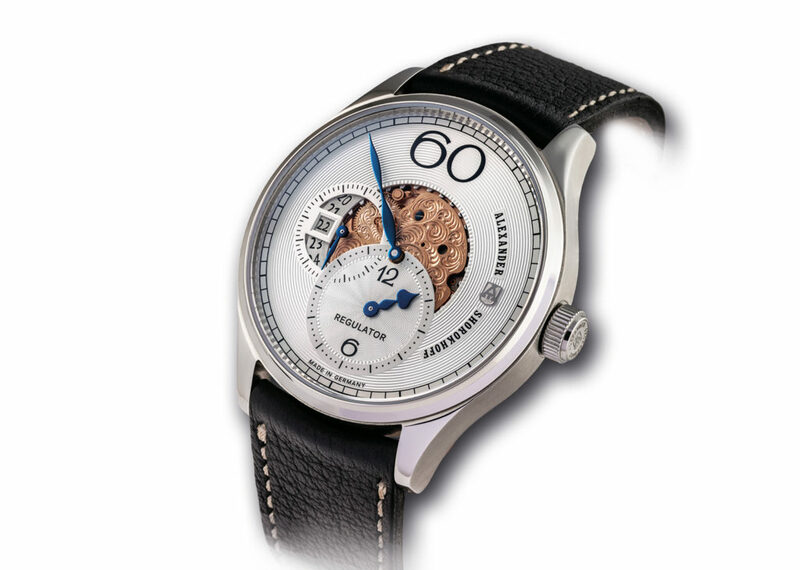 To emphasise the identity of this exquisite watch, this masterpiece was limited to 98 pieces per dial.